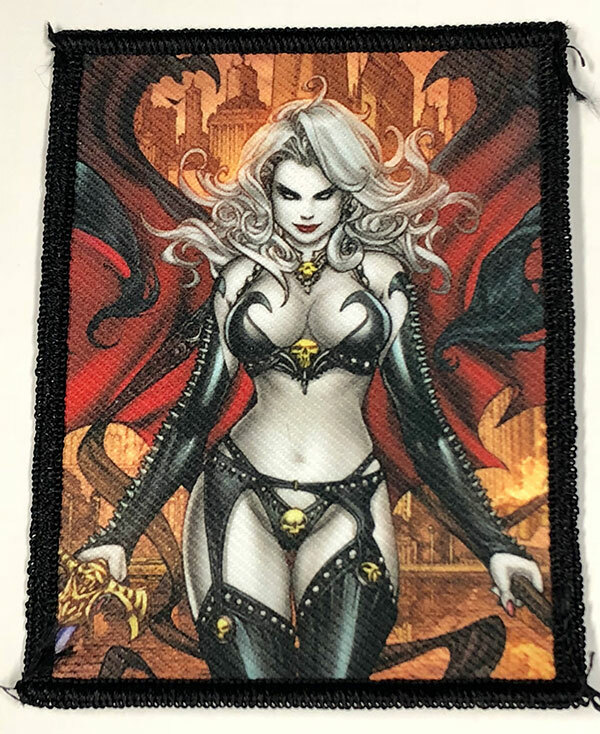 « LA MUERTA: RETRIBUTION KICKSTARTER LAST DAZE, DCC 2018 PREVIEW & MORE! THE FRIDAY FIRE BLAST! 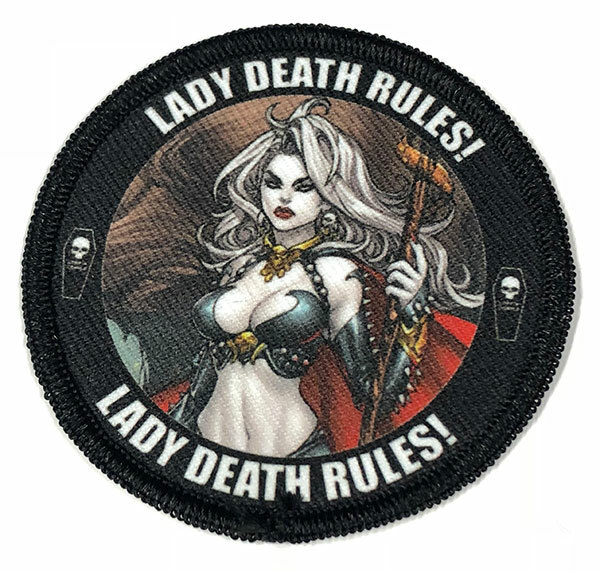 CHECK OUT OUR HOTTEST ITEMS NEWLY ADDED TO LADY DEATH STORE! Are you ready to start your weekend off right?! Hell yeah! 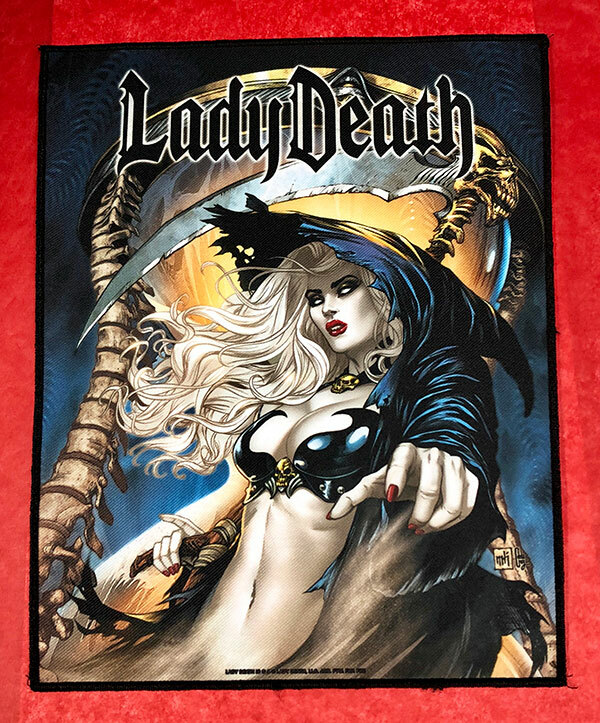 That’s why we’re offing you some Lady Death that’s gonna rock your Friday! We know what you like, cause we’re a fan like you! Full color, 32 pages. RARE 1:10 dealer incentive edition! Full color, 32 pages. RARE incentive edition! Full color, 48 pages. 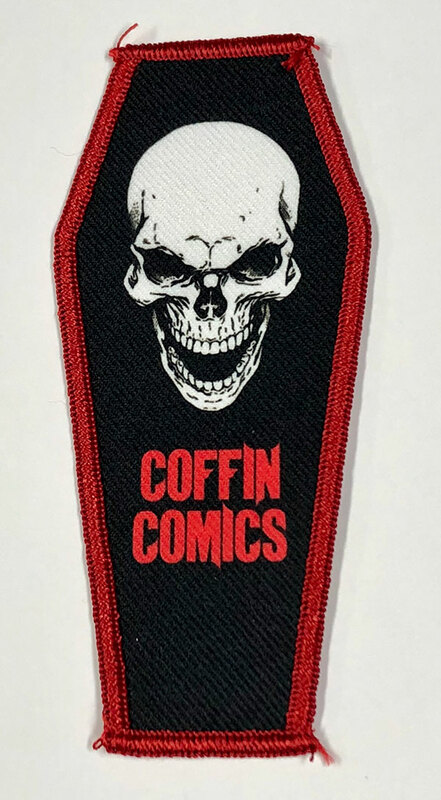 Limited Kickstarter Edition! Solid metal collectible trading card! Production run alternates between silver (odd-numbered) and gold (even-numbered) cards for a combined total of 99 serially numbered cards! Measures approximately 14″ by 11″. 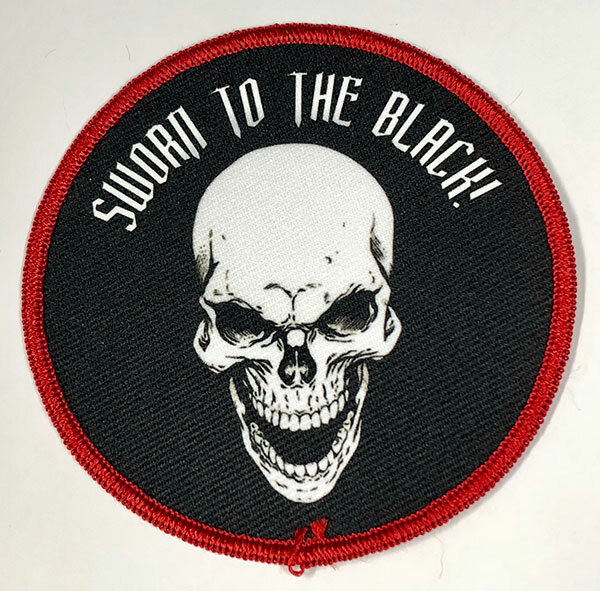 Great as a back patch! Measures approximately 3″ in diameter. Measures approximately 4″ by 4″. Measures approximately 4″ by 3″. Measures approximately 4″ in diameter. Measures approximately 5″ by 2.5″. ONLY 12 HOURS – OR LESS – LEFT! THE LA MUERTA: RETRIBUTION KICKSTARTER IS SCORCHING THE INTERNET! Just wanted to give you a heads up that our latest La Muerta Kickstarter has less than a day left!!! We’d love it if you could back this project or tell your friends about it! 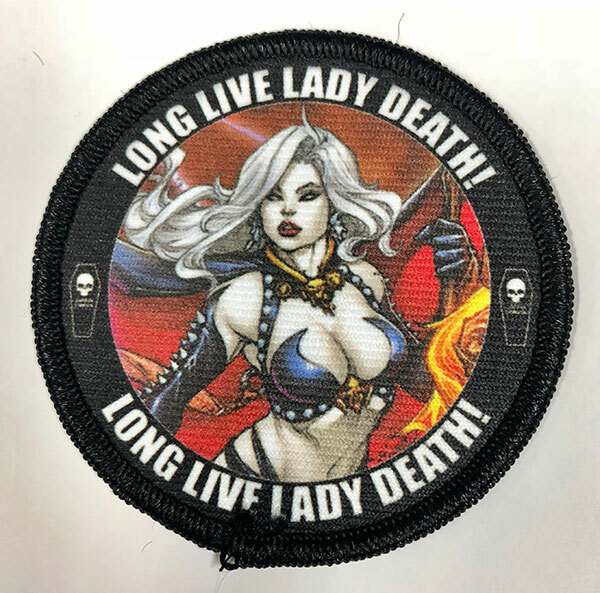 La Muerta Kickstarter “Last Chance” NEW BACKER Contest! 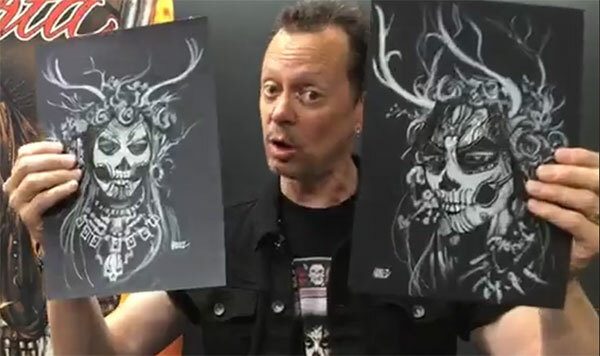 4 lucky contestants will win original La Muerta art from Joel Gomez along with a La Muerta Surprise Pack! Step 2: Post your Kickstarter Backer # in the comments or on the La Muerta FB Page or Brian Pulido FB page. Step 3: After the Kickstarter ends tonight at 7:00PM Arizona Time, we will announce the 4 random winners! 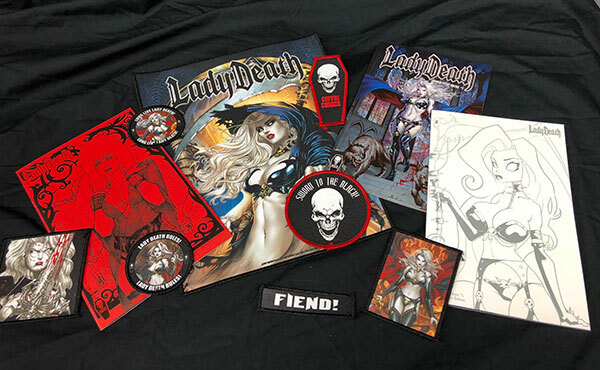 Step 4: If you win, your prize will be shipped along with your Kickstarter package! *Contest is open to new backers pledging to the La Muerta #1: Retribution Kickstarter campaign from 6/6/2018 – 6/8/2018. 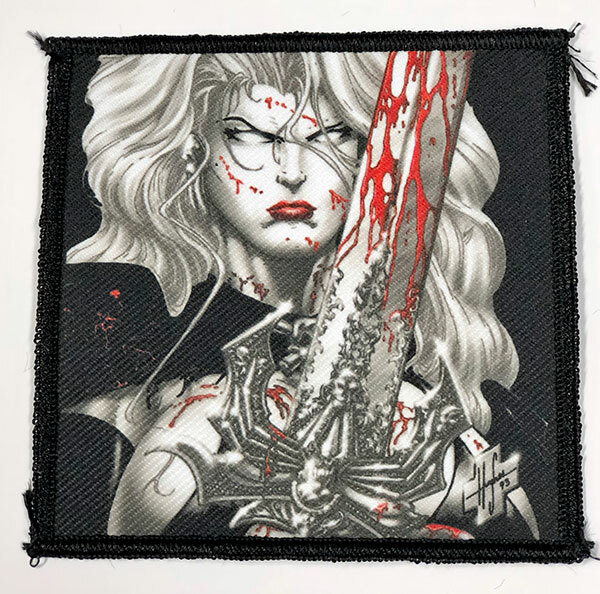 This entry was posted in Kickstarter, Newsletters, Product News and tagged apocalyptic abyss, contest, final day, fine art print, kickstarter, la muerta, lady death, patch, patches, retribution, unholy ruin. Bookmark the permalink. Both comments and trackbacks are currently closed.